I do love asparagus season! We have been eating it almost every day. But the boy is not yet a fan, so I keep trying different ways of serving it and having him try it. I will admit that I only half-heartedly push him into eating it; if he doesn’t then there’s more for the rest of us! 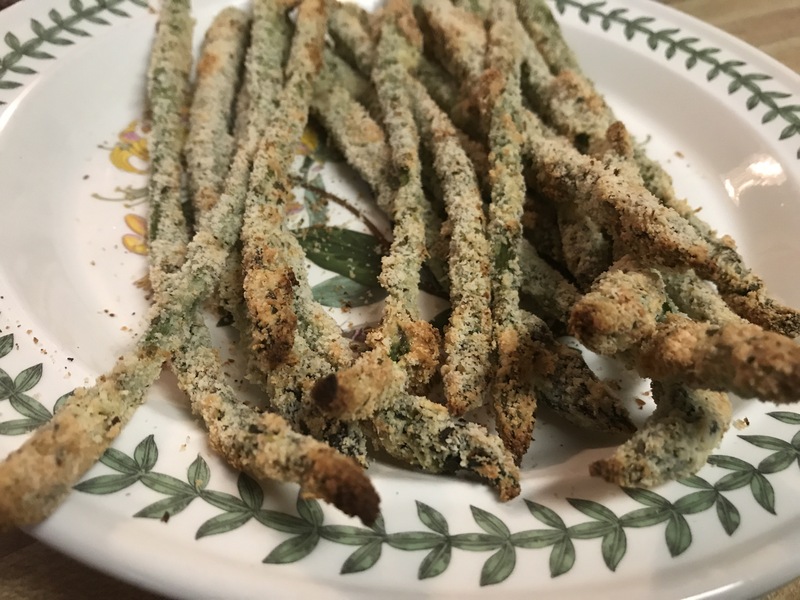 This one is a gluten-free approach to asparagus fries – using almond meal in the coating. Also garlic powder, parmesan and oregano. Good just as is or with a dip. Snap off the tough end of the asparagus (about 1-2 inches from the thick end). In a flat bowl, combine the almond meal, garlic powder, oregano, salt and pepper. In a second flat bowl, whisk eggs. 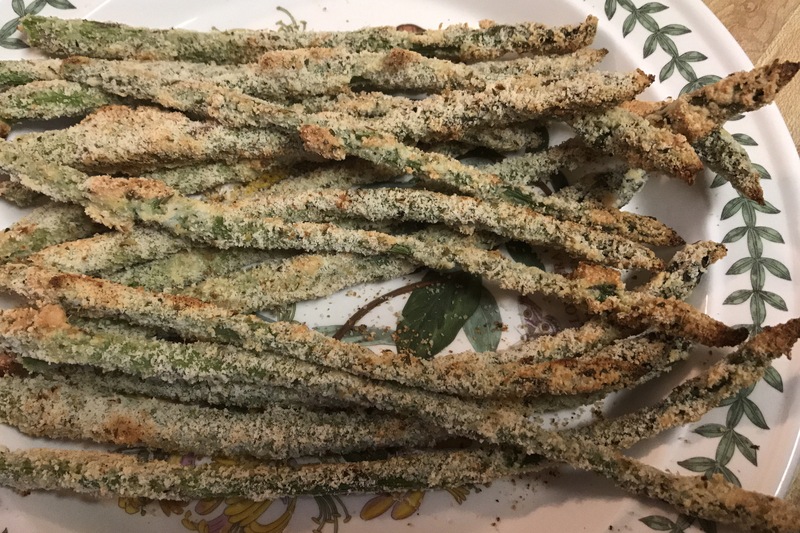 Dip asparagus in eggs, coating evenly, then coat with the almond meal mixture. Place on the prepared baking sheet in a single layer. Bake 20 minutes, flipping the asparagus over half way. Our Editor's Pick! Come visit our Home blog!